Looking for something to do on rainy mornings? 1…2…3 Ready and Baby and Me classes are always available on a drop-in basis for a small fee. Registration for upcoming programs begins on December 13 at 10:00 a.m. through www.sfreconline.org. Staff at Upper Noe will be on hand that day to assist folks through the process. To minimize registration hassles, families are advised to look over the site in advance to create an account and to look over the available classes. Soccer season is approaching. Get ready for spring with our Winter Soccer classes. 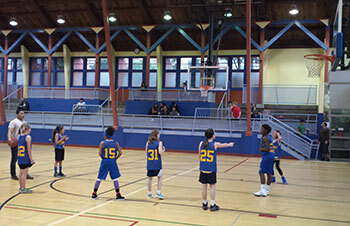 Whether your interest is league play, pick up games or evening sessions of hoops with your buddies, the courts are teeming with team activity at Upper Noe seven days per week. Even though the Rec Center is only open Tuesday through Saturday, the courts are available for rental every day after hours and on days when it is closed. 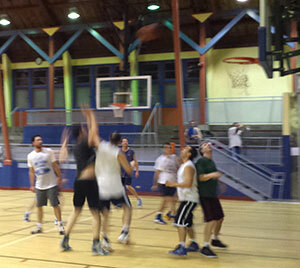 Groups can organize private basketball parties or kids’ leagues can arrange practice and games to suit their schedules. Free Open Gym hours are every weekday afternoon and Tuesday and Thursday evenings. Balls are available at the Rec Center office. So come on in and get your game on. Rec & Park is taking sign-ups now for league basketball play in five divisions, Kindergarten, 1st & 2nd Grade, 3rd & 4th Grade, 5th & 6th Grade, and 7th & 8th Grade. For details, click here. Beginning January 3, new hours will be in effect. Auditorium Free Play: Sun and Mon closed; Tue 1 – 3:30pm; Wed 1 – 2:30pm; Thu none; Fri 1 – 3pm; Sat 12 – 4:30pm. Saturday hours can vary, depending upon other activities. Open Gym: Sun and Mon closed; Tue 12 – 3pm, 6:30 - 8:30pm; Wed 12 – 2:30pm; Thu 12 – 5pm, 6:15 – 8:30pm; Fri 12 – 6pm; Sat none. 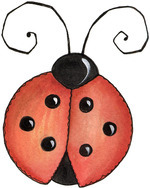 Ladybug Gardeners leader Joan Lionberger invites friends and neighbors into the Upper Noe gardens this Saturday, December 13 from 9 a.m. to noon for a Ladybug Workday. Come by and volunteer, even if you only have an hour to spare. It is a fun way to spend the morning. One of life’s great joys is a quiet walk in the woods but where in San Francisco is that still to be found? Currently, just blocks away. The undeveloped wooded hillside above Billy Goat Hill across Beacon Street seems a formidable barrier for hikers, joggers or even pedestrians seeking a shortcut to Walter Haas Playground, a wall of dense trees. Look closely and one can spy the end of a trail that is more like a mysterious rabbit hole than and invitation to progress up the hill. From the other end, the experience is not any more inviting, a brief steep and treacherous decent. Both access points quickly turn sharply onto an evenly sloped switch back trail, where one is hidden from the sight and sound of the city. RPD and others want to create a more inviting safer link between theses properties facilitating accesses and promoting healthy activities, such as hiking , biking, dog walking or just finding and easier route to the playground that does not require driving. No plans are on the board yet. Rec & Park wants community input first. Come and share your insight and opinions. Wednesday, December 10 from 7 – 8:30 pm at Upper Noe Rec Center. The rainy season is here and that has put a damper on doggy fun. While Joby’s Run is an all-weather play area, some of our nearby grass fields have announced winter closures. 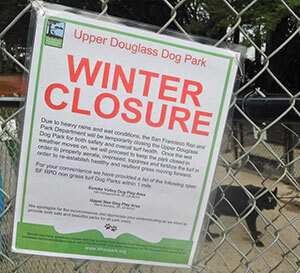 So, expect more dogs than usual at Upper Noe for a while. Rec & Park leads discussion of improvements to a social trail linking Walter Haas Playground and Billy Goat Hill. January 10 1:30 p.m. - 5:30 p.m.